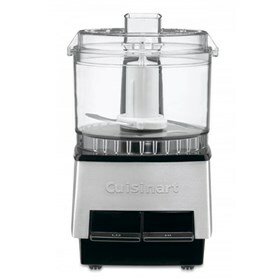 The Cuisinart 21 Oz Processor Mini-Prep& #174; processor is the perfect kitchen helper for your small food preparation tasks. The base houses a very powerful motor giving 2 speeds for precision processing. 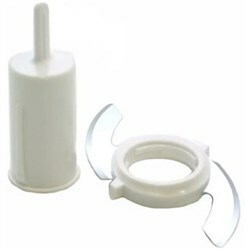 The clear plastic prep bowl locks into place with a simple twist, while the blades can be set sharp side up or turned blunt side up as per your requirements. The Mini-Prep Processor Brushed Stainless Steel has many exciting features for users of all types. You can extend the lifetime of your Mini-Prep Processor Brushed Stainless Steel with the purchase of a FactoryOutletStore Factory Protection Plan. See the Mini-Prep Processor Brushed Stainless Steel gallery images above for more product views. FactoryOutletStore stocks a full line of accessories like Blade Assembly for the Mini-Prep Processor Brushed Stainless Steel. The Mini-Prep Processor Brushed Stainless Steel is sold as a Brand New Unopened Item.